Over the last 5 years, brands such as 6D and Bell have dominated the field with innovative technology. Not only making helmets more comfortable to the rider, but also bringing along next level safety performance through rigorous testing. We’ve seen various brands come out with new technology claiming to limit brain trauma, but 2018 has become a year of major progression throughout the industry. With all of these options claiming to be “the best”, I have taken deeper look into technology behind the best dirt bike helmets of 2018. I hope this allows you to find the helmet that suits your criteria and can keep you safe on the track or trails! The Bell Moto 9 Flex helmet is no slouch. This lid may potentially the best helmet on the market in terms of ergonomics. Exceeding all standards in weight, comfort, and most importantly safety. 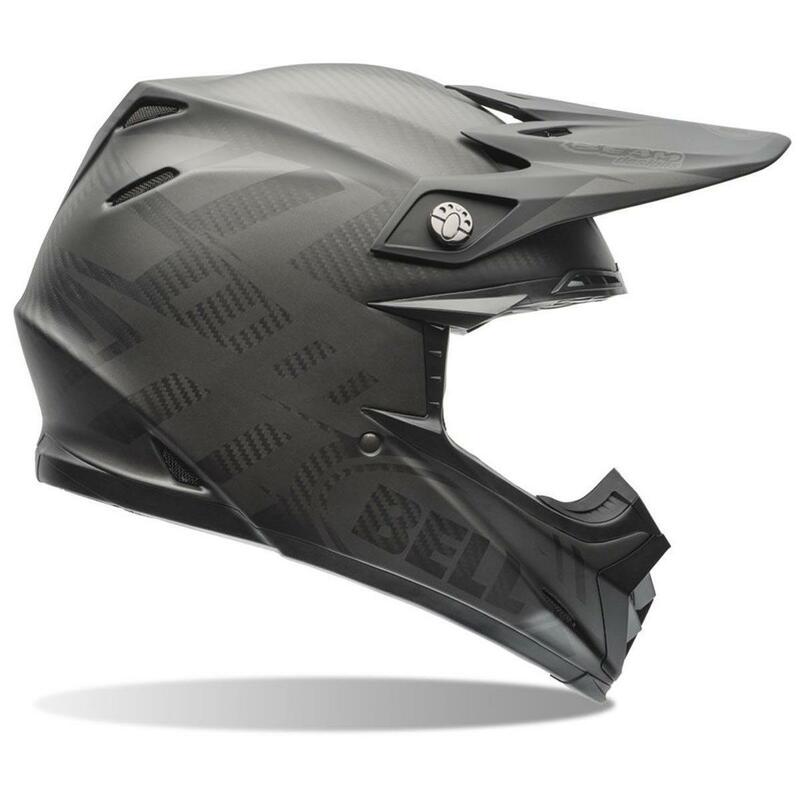 The helmets shell is built out of a lightweight carbon composite, with the whole helmet coming in at a miniscule 1450 grams; thus thoroughly reducing neck fatigue during your long motos, or enduro rides. Although the shell may be impressive, it’s what’s inside that makes the Bell Moto 9 Carbon Flex stand out. With an innovative 3 layer impact liner inspired by their bicycle line; Bell has created a progressive energy management system that’s designed to absorb a variety of hits from low speed to high speed impacts. Bell has completed this helmet with magnetic quick release pads, almost unbeatable visibility, and an adaptive shell to fit any head shape. With specs like that, there is no doubt that the Bell Moto 9 Carbon Flex is one of the greatest dirt bike gear items of 2018. 6D is arguably the reason helmets have progressed so much over the past 5 years. The brand has created the ATR-1, a truly revolutionary product in the motocross industry. Why is the helmet so special you ask? To start off, 6D introduced the Omni-Directional System. This system is built up of 3 main components; 2 EPS liners, and a collection of elastomeric isolation dampers. These dampers allow the shell of the helmet to move separately from the secondary EPS liner, displacing the energy of impacts. With a progressive hourglass shape to the dampers, they are extremely effective in both low and high impact situations. Besides the ATR-1’s game changing technology; the helmet also come equipped with an integrated pad underneath the mouthpiece to give added protection to both the jaw and sternum, emergency release cheek pads, and a highly ventilated antibacterial liner. With a portfolio like this, the ATR-1 may just be the helmet for you! We saw Shoei release one of the most trusted helmets by riders in late 2008. After years of success with the original VFW, many wondered when an updated model would be released as the once newfangled helmet’s technology could no longer rival its competitors. 10 years later, Shoei answered back with the all new VFW-EVO. 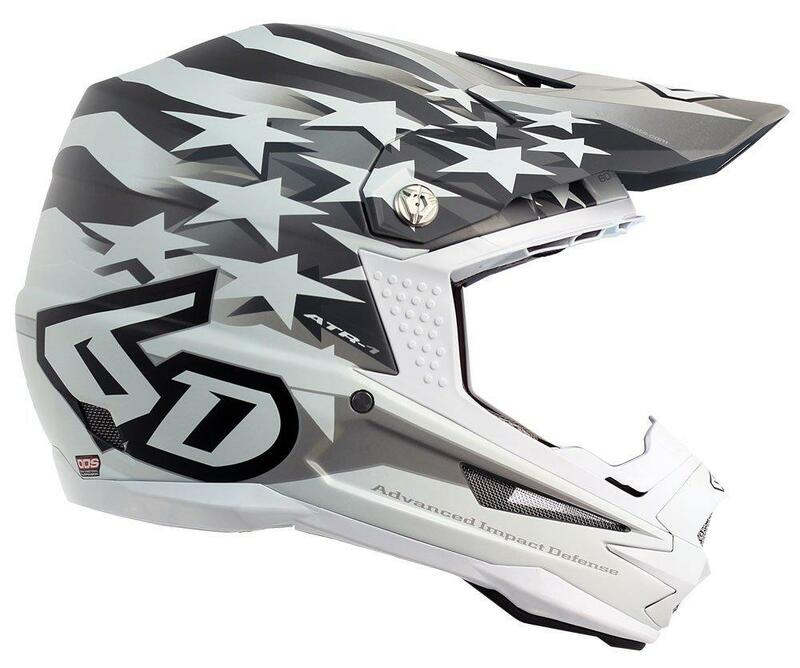 The revamped helmet features Shoei’s brand new Motion Energy Distribution System; a 3 part EPS liner. The outer layer will act as a traditional impact layer, whilst the center layer will minimize rotational force to the rider. Surrounding this new system is Shoei’s AIM+ technology. A both complex, and impressive shell made up of 2 layers of fiberglass, with various layers of fibers in between. This collective of material does not only bring an extremely light helmet weight, but it also allows the shell to dampen impacts and brings next-level strength. With these great components alongside other advancements such as improved ventilation, top of the class mouthpiece including a washable filter, and other noticeable improvements. I see no reason why Shoei VFW-EVO will not compete, or out-run the current industry leaders and be the perfect helmet for you on race day. 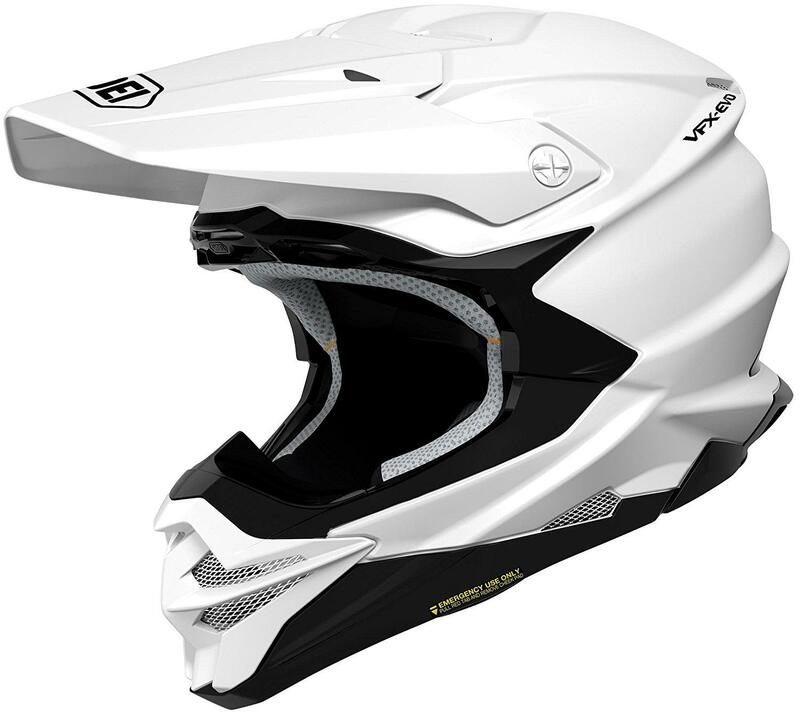 Leatt, a brand known for the specializing in neck protection recently introduced a helmet. We have seen a variety of Off-Road athletes running them such as Johnny Walker, and Ryan Sipes – but are they ready to compete alongside established helmet brands? With the specs of the Leatt GPX 6.5, YES. 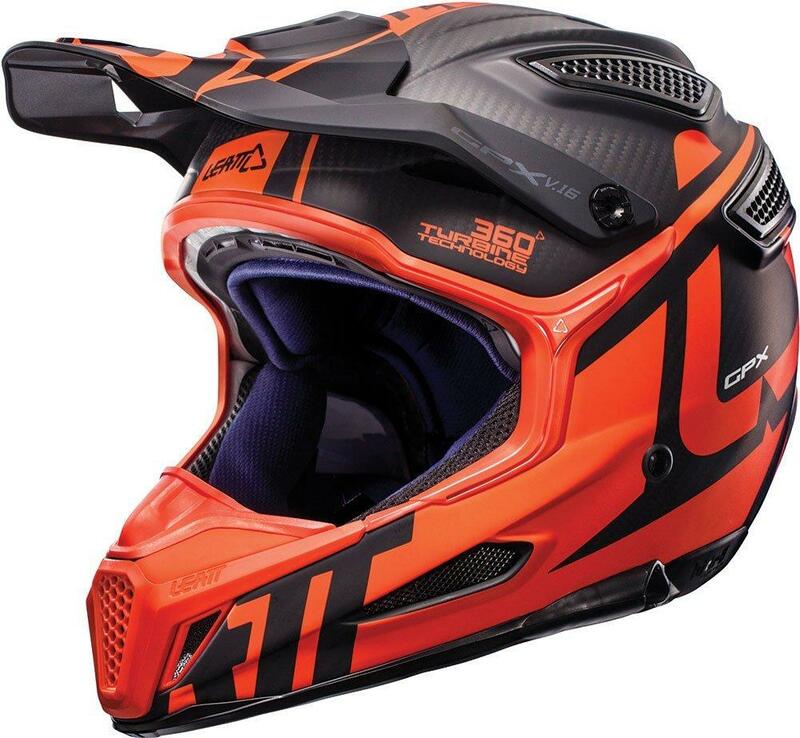 Alike the top helmet manufacturers; Leatt has brought its own impact absorbing, and rotational acceleration decreasing system in to the mix known as 360 Turbine Technology. The small shell of the helmet is the factor that exponentially slows down the rotational acceleration, paired alongside multi-density, v shaped foam to absorb impacts of all levels. The foam is attached directly to the outer shell of the helmet, thus allowing Leatt to make an extremely light and compact helmet in a way that not only maintains safety, but increases it. The complete helmet comes in at an incredible 1270 grams, making it one of the lightest helmets on the market. The Leatt GPX 6.5 Carbon will also bring you unique features such as an optional mouthpiece that is compatible with hydration kits and seamless neck brace compatibility. A helmet with technology like this has definitely earned its spot as one of the best helmets of 2018. 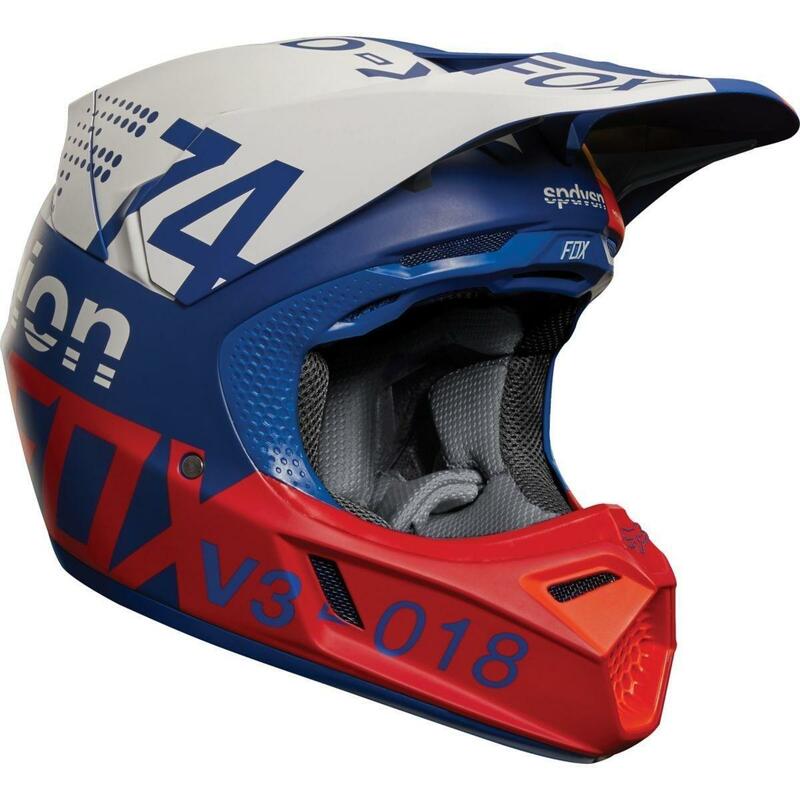 The Fox V3 helmet is one of the most winningest helmets of all time. Trusted by motocross legends such as Ricky Carmichael and Ryan Dungey, with a legacy that will continue through riders like Dean Wilson, and Ken Roczen. The Fox V3 is bringing the well know, Multi-directional Impact Protection System into the mix. The M.I.P.S was designed through hours of rigorous testing to try to limit the rotational acceleration of the riders head. Inspired by the low friction fluid between your skull and brain that help reduce trauma, they are mimicking the concept by separating an outer and inner shell with a component that will allow the helmet to not just absorb abrupt impacts – but also, angular impacts that are most common in motocross. Fox has also paired this with its brand new Magnetic Visor Release System. This system completely removes the need for the traditional visor screws, and allows the visor to come off in case of a serious crash – where a visor could limit the effectiveness of the helmet. Yet, the magnetics are strong enough to withstand roost, and less aggressive hits. The advanced, and innovative safety features that the Fox V3 bring to the table are nothing short of impressive. If you’re looking for an awesome helmet, proven by champions – the Fox V3 may just be it! Author’s Bio: I got my first dirt bike when I was 4 years old and ever since then since then I’ve had the privilege to be around dirt bikes and motocross riders. The 20-years of experience has taught me a lot about dirt bikes and riding gear. I started this blog to write unbiased motocross related reviews so I could help my fellow motocross riders make better purchasing decisions. I got my first dirt bike when I was 4 years old and ever since then since then I've had the privilege to be around dirt bikes and motocross riders. The 20-years of experience has taught me a lot about dirt bikes and riding gear. I started this blog to write unbiased motocross related reviews so I could help my fellow motocross riders make better purchasing decisions.